ZW-35 paper bowl forming machine (single PE coated paper) uses technology developed in Korea. Our machine is equipped with automatic paper feeding, pre-warming, sealing, punching, bottom heating, edge curling, knurling, water line wind border, marker water line, bowl unloading and photoelectric tracing system, bowl counter, etc. 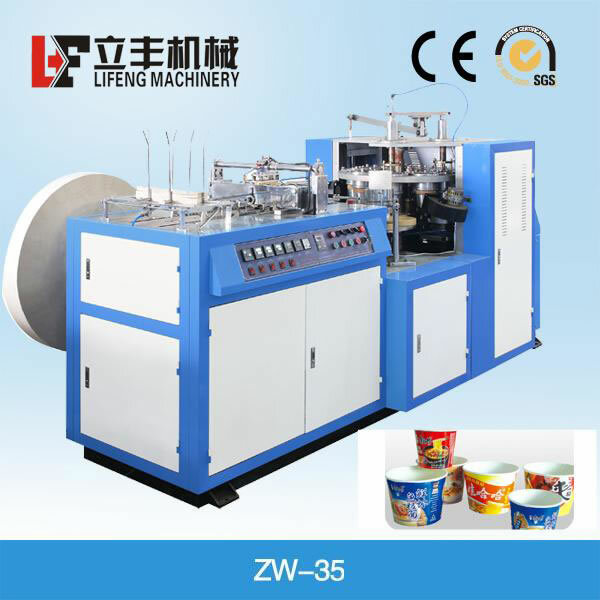 The ZW-35paper bowl forming machine (single PE coated paper) is ideal for making soup bowls noodle bowls, etc. 1. Optically controlled non contact switch automatically controls the machine, ensuring the safety of the machine and operator. 2. Our paper bowl forming machine (single PE coated paper) is equipped with a micro-computer controlled inverter which helps the equipment realize speed regulation. 3. 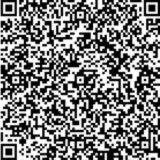 Our machine is certified by CE approval. 4. Photoelectric tracing system is also used in this type of equipment. 5. Our paper bowl forming machine (single PE coated paper) is made from high quality bearings. 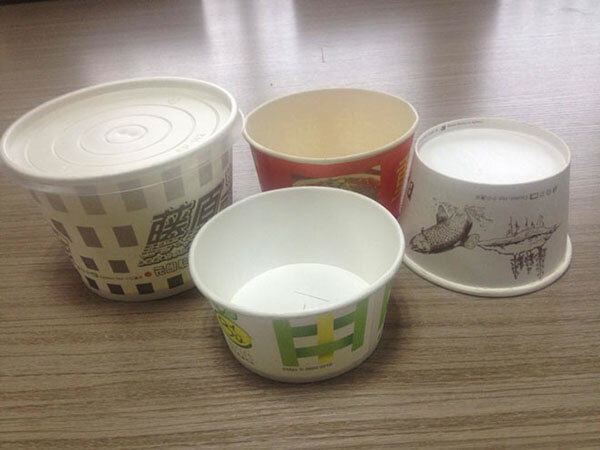 The ZW-35 paper bowl forming machine (single PE coated paper) is used to make different types of paper bowl containers. It can be used in all manner of public places. The frame of paper bowl forming machine (single PE coated paper) is made of metal and the body is made of steel. Maintenance on the ZW-35 paper bowl forming machine (single PE coated paper) should only be carried out under supervision. Strict attention should be given while the machine is in operation and the shield is removed. 2. Attention should be paid to the sanitation and cleanliness of the machine. A fixed scheduled should be maintained to clear and wipe down the machine. Keep greasy dirt away from the paper, die and roller. The paper bowl forming machine (single PE coated paper) should be located away from paper scraps, dust accumulation or plastic rolling. 1. The paper bowl forming machine (single PE coated paper) is adjusted one week prior to delivery to make sure our Lifeng machine is in perfect condition. 3. Free training is available and ongoing for the buyer until he fully understands the operation of our Lifeng paper bowl forming machine (single PE coated paper). The buyer would be responsible for airfare and accommodations expenses. 1. Lifeng paper bowl forming machine (single PE coated paper) offers a one year warranty from the shipment date.